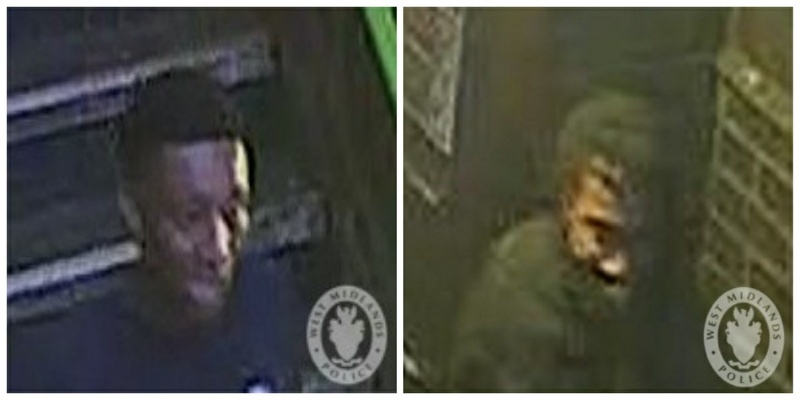 Detectives have released images of two men they want to speak to after a stabbing in Aston. The 20-year-old victim was approached by three males who took his wallet in Lichfield Road at around 6.30pm on 8th October. As he tried to resist, he was stabbed in the chest. Inspector Hannah Whitehouse said: “Fortunately the victim was not seriously injured but this type of violence will not be tolerated. Anyone with information can call 101 or contact Crimestoppers anonymously on 0800 555 111 quoting crime reference number 20BW/231188Z/18.